at EPFL and CHUV Lausanne the most advanced 1.48 mm infrared diode lasers have been developed. Lasers using this technology presently are the most widely used systems in the world with the largest number of installations and treatments. The OCTAX Laser ShotTM is the first digitally controlled laser system including OCTAX EyeWareTM imaging software for digital image or video processing also offering a large number of advanced features. Shivani Scientific Industries Pvt. 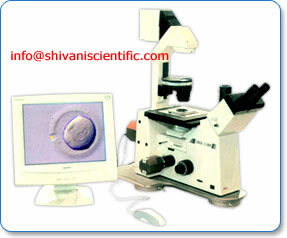 Ltd.
Company Name: Shivani Scientific Industries Pvt. Ltd.